Do you know how to drive a stick shift or have you ever attempted to learn to drive a stick shift? It’s odd how something that is such a normal part of your life (driving) can become instantly terrifying. I drive a stick now and I absolutely love it. Being in control of my car like that is exhilarating. Learning to drive it? Uh, not so much. Who knew my route to work was filled with so many enormous hills slight inclines? At stop lights! When you drive a “regular” car, you do so without much regard to the road itself (unless you hit a big pot hole or something). But when you’re driving a stick shift, you notice every incline, every stop light. You run yellow lights and loudly “will” the red lights to quickly turn green so you don’t have to stop. “Please turn green! Please turn green!” (It doesn’t work, by the way.) You notice the cars behind you and wonder why on earth they have stopped so close to your rear bumper. You pray the entire time you’re driving you don’t have to stop so you don’t have to worry about taking off in first gear. Going to the gym is kind of the same way. Maybe you’ve worked out at home, or when you were younger. But now you walk into the gym and you are completely intimidated. The equipment is scary, you aren’t sure where to start, and (you feel like) everyone is looking at you. Maybe someone even gets a little too close to your “rear bumper”. Just like driving a stick shift, the gym does get easier. You become more familiar with the equipment. You know how to turn on the treadmill without propelling yourself off the back. The only people on your rear bumper are the ones you want there. You just have to keep going. Just like you have to keep driving. The only way to improve at something is doing it over and over. The gym isn’t the be all, end all for getting in shape. Just like you don’t have to drive a stick shift. However, if it’s something you DO want to do; something you feel would be beneficial for you, don’t let fear stand in your way. It’s time to get out of first gear! This entry was posted in Body Image, Fitness as a Priority, Goal Setting and tagged balance, body image, fitness, friends, goals, Health, Physical exercise, self love, wellness, women. Bookmark the permalink. Oh yeah! This is perfect. It can apply to all areas of life too. I just found out (realized!) that I am a procrastinator so this post really speaks to me! Thank you!!! Oh and I’ve tried driving a stick shift……dang! It’s tough! LOL! Thanks, Robyn. I’m so glad this spoke to you. 🙂 I’m such a procastinator too. But, I’m working on that. Boy, you really have the insight to “see” into my mind as to what causes me to hesitate to try out the weight machines I have NO IDEA how to use, or the new treadmill that has more features than I can comprehend in one visit! It turns me into the new girl standing at the door of the first grade classroom every time I think about it! But you are right — just jumping in and getting your whole BODY involved is the best remedy! 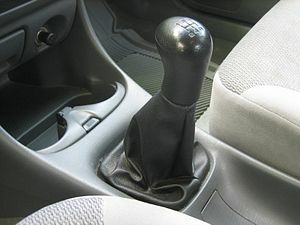 Drive the car with the shifter, not the automatic transmission that lulls you into submission! Thanks for the much-needed kick in the rear end to GET OUT THERE AND DRIVE THE FUN WAY – the WAY THAT GETS THE BEST RESULTS AND MAKES YOU FEEL LIKE YOU ARE ALIVE!!! Linda, I’m so glad I could give you a virtual kick in the rear! You’ll master that treadmill and those weight machines in NO time!